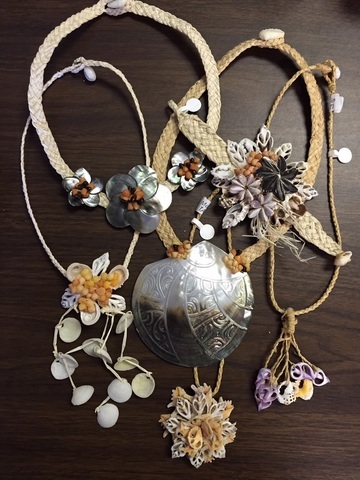 One of a kind jewelry hand crafted from shells unique to the Tuamotu Archipelago in French Polynesia. The vibrant colored shells in shades of yellow, orange and purple are found only in the pristine waters surrounding these islands. The carving, and weaving are all done the traditional way, by local artisans. No two pieces are alike, each one is truly a unique work of art. Hand carved mother of pearl shells feature native flowers, and ocean animals add a touch of island life to a desk, dresser, or counter top. Each piece is unique and beautiful. They are perfect for holding loose change, jewelry, or other small items. 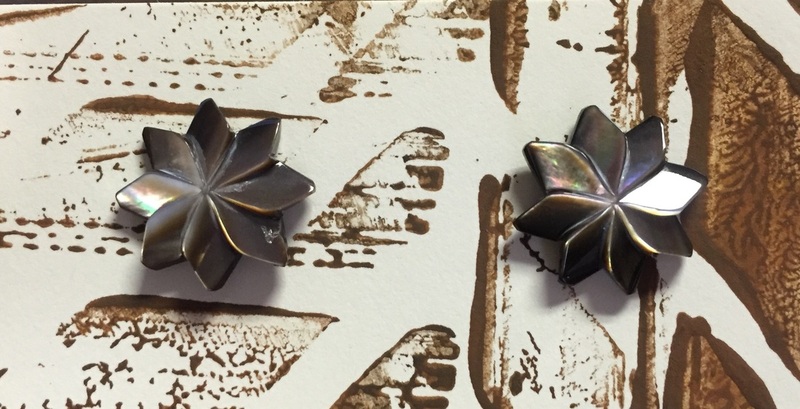 Hand Carved, Mother of Pearl Barrettes. Deep Etched, 3 Sizes. Made in Tahiti. Fine French Clasp on Back of Mother of Pearl Barrettes. 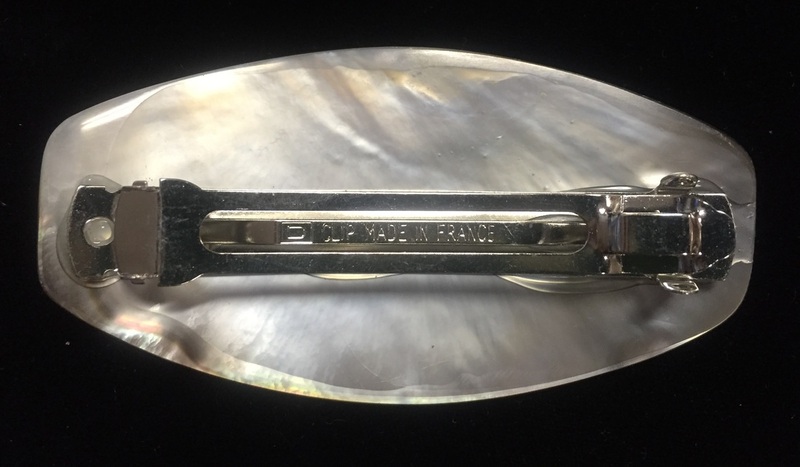 Surface Etched Mother of Pearl Barrette with Made in France Clasp. Hand Carved in Tahiti. 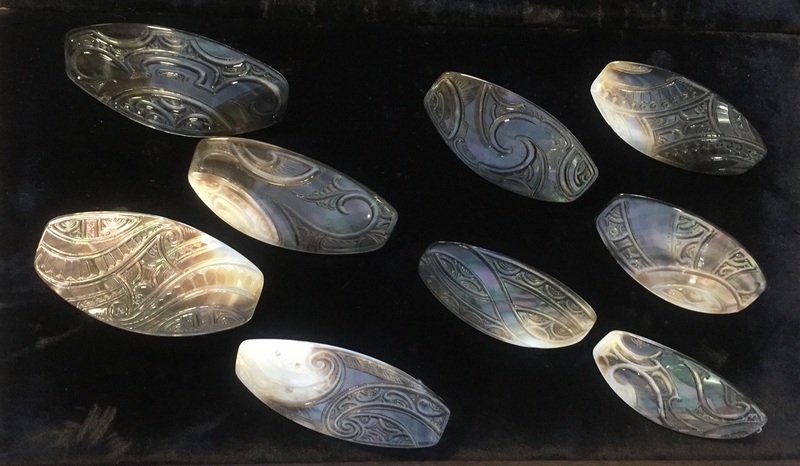 Deep Etched, Mother of Pearl Barrette. Hand Carved in Tahiti. Fine French Clasp.